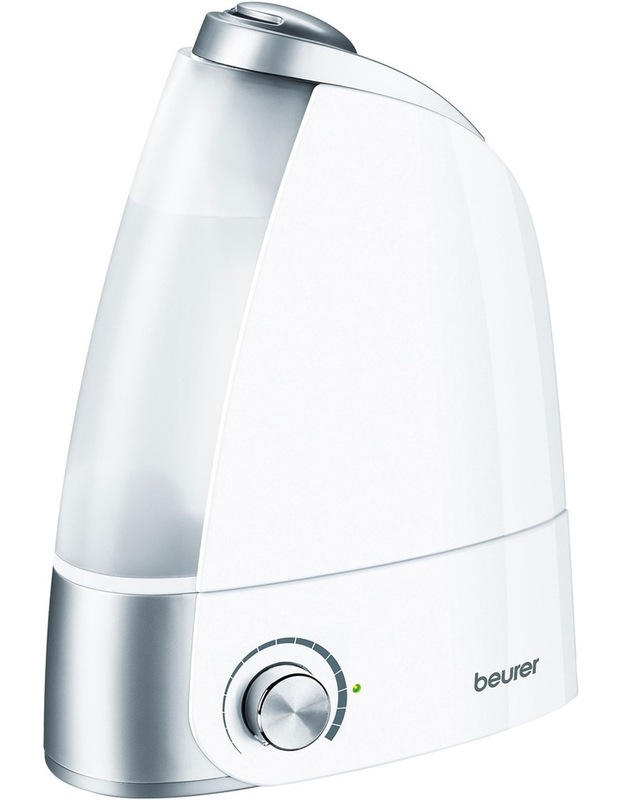 Eliminate dry, stale air in your home with the BEURER LB44 Air Humidifier: White. With its quiet operation, this clever appliance emits water vapour into your room to increase the level of humidity. Great for bedrooms, this humidifier feeds from a removable 2.8 litre water tank. For safe operation, an automatic switch-off function is activated when the water tank becomes empty.